The last full week of May reorders resulted in yet another Infinity War-led reorder chart from Diamond Comic Distributors — and Sonic the Hedgehog made an appearance in the advance reorders, with a boxed set due out in June. 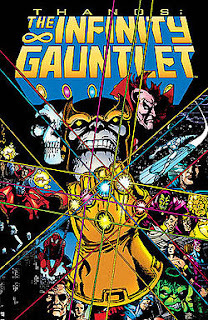 In yet another repeat, Marvel Infinity War-related items took the top three slots, with the Infinity Gauntlet trade paperback, the Infinity War trade paperback, and the Infinity trade paperback topping the charts. The top reordered comic book was the weekly Justice League: No Justice #2 from DC. It went on sale on May 16. The top Marvel reordered comic was Avengers #2, which also went on sale May 16. It's on a second printing now. The top hardcover was Ultimate Comics Avengers: Blade Vs. Avengers. It came out on April 13, 2011, making its appearance here possibly the result of a sale. 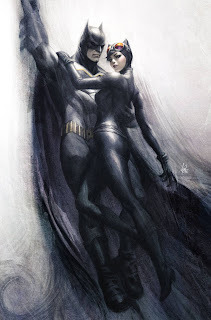 Batman's wedding continued to draw attention as the Artgerm variant edition of Batman #49 was the top advance-reordered comic. It goes on sale June 20. 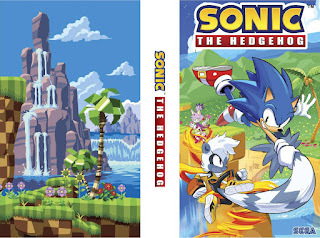 No softcovers or hardcovers, but IDW did offer a Sonic the Hedgehog Box Set that made the charts. It includes issues #1-4 of the series, and is also due on June 20.